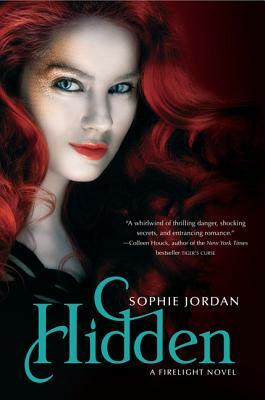 Fans of Maggie Stiefvater and Colleen Houck will love this epic tale of forbidden romance and nail-biting action from New York Times bestselling author Sophie Jordan. In the climactic finale to the steamy Firelight trilogy, Jacinda must fight to save her life, her love, and all of her kind. If Jacinda were to follow the wishes of her community, she'd happily settle down with Cassian, the prince of her pride. But she just can't. She's in love with Will, a human boy who comes from a family of hunters. Their relationship breaks the most sacred rule and endangers everyone she cares about. Now Jacinda, Will, and Cassian fight back against the hunters and their shadowy allies who would destroy them all. . . .